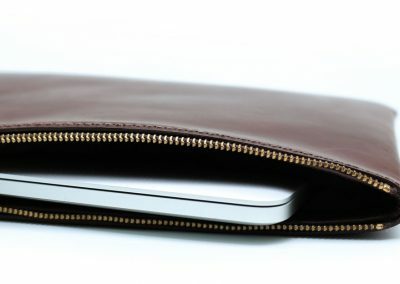 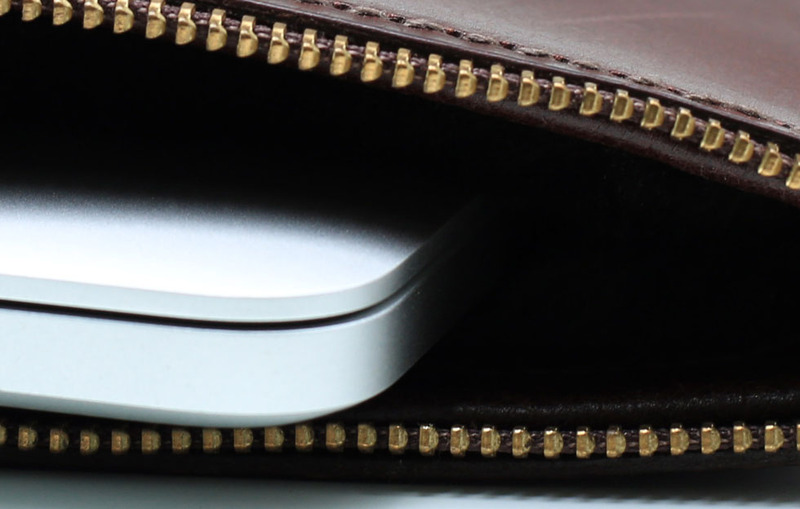 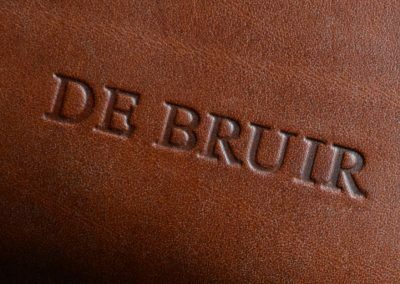 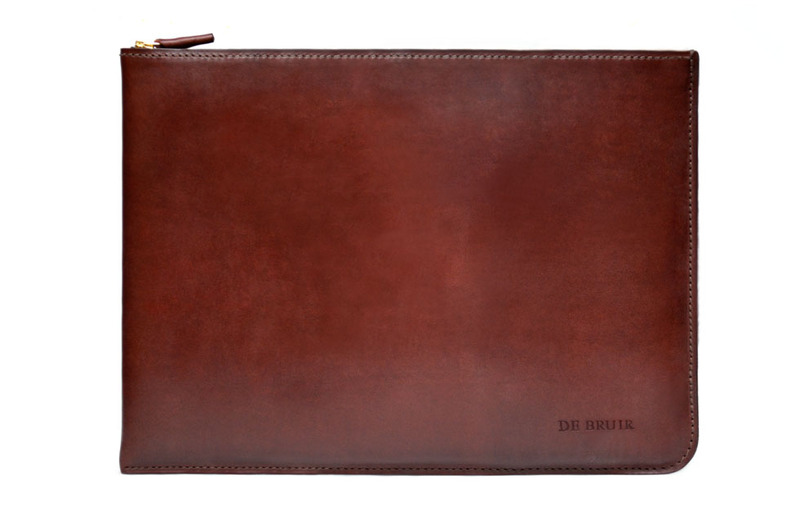 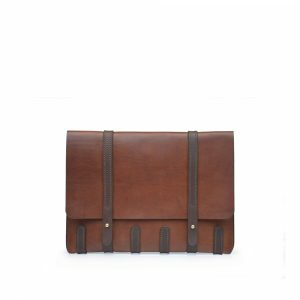 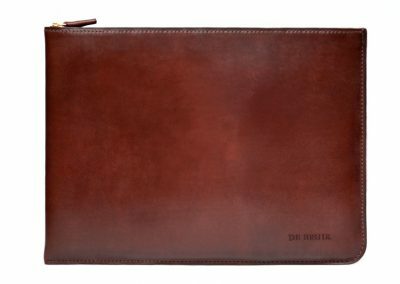 Created to provide a protective, yet stylish pouch for valuable documents, iPad or MacBook. 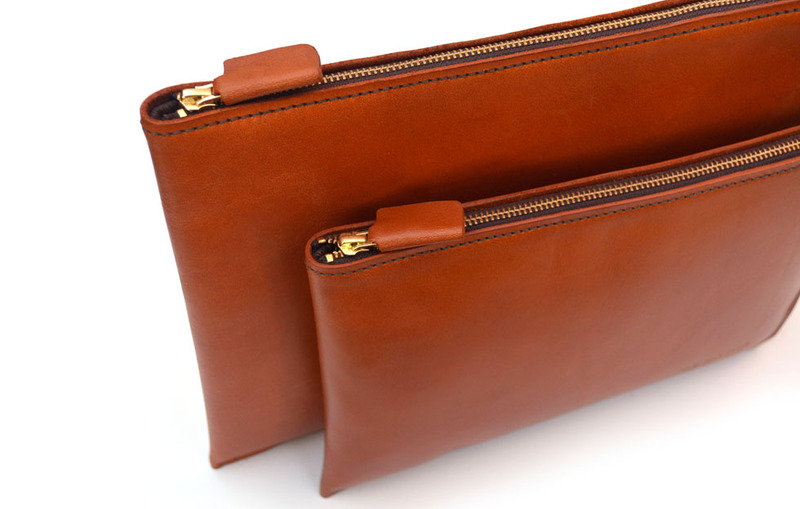 Featuring a generous wrap of supple leather on both the exterior and interior. 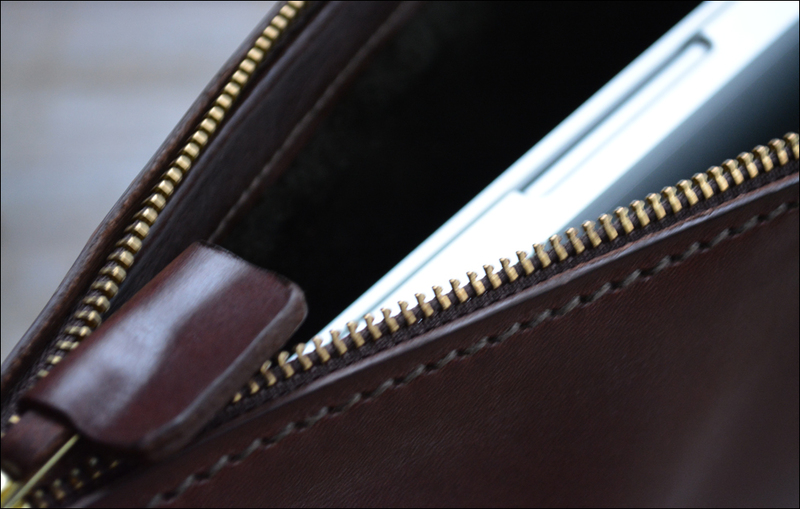 Designed with a zipped closure for extra security. 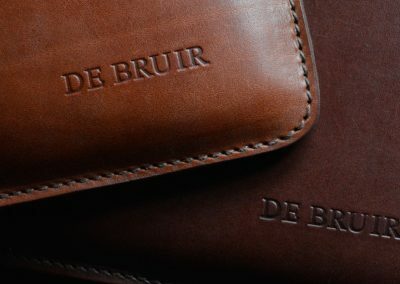 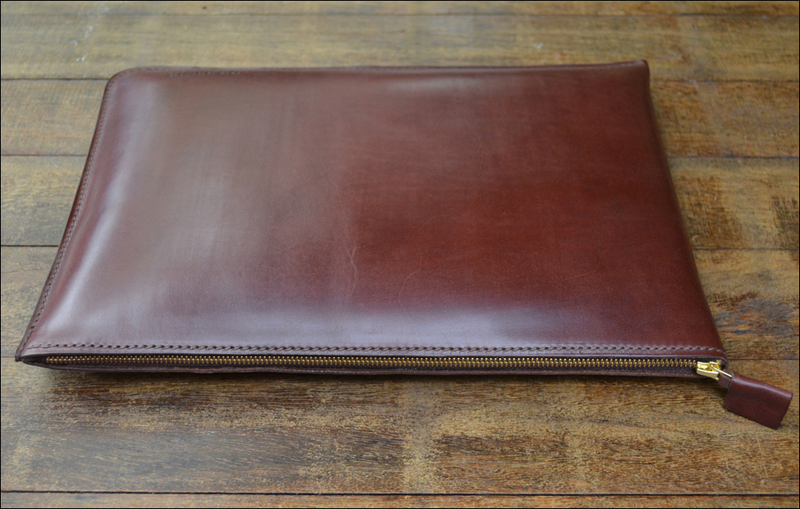 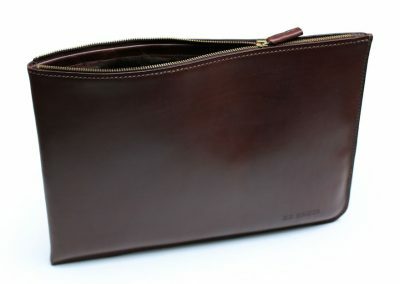 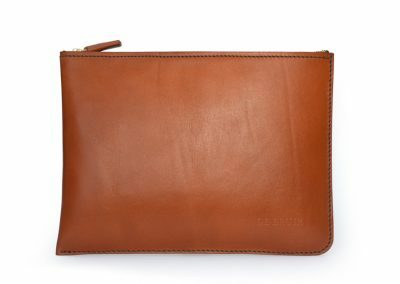 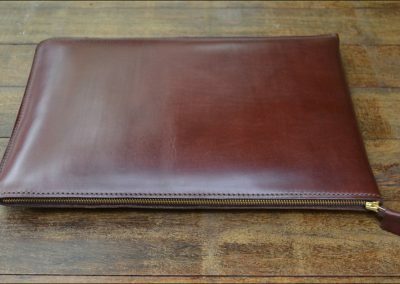 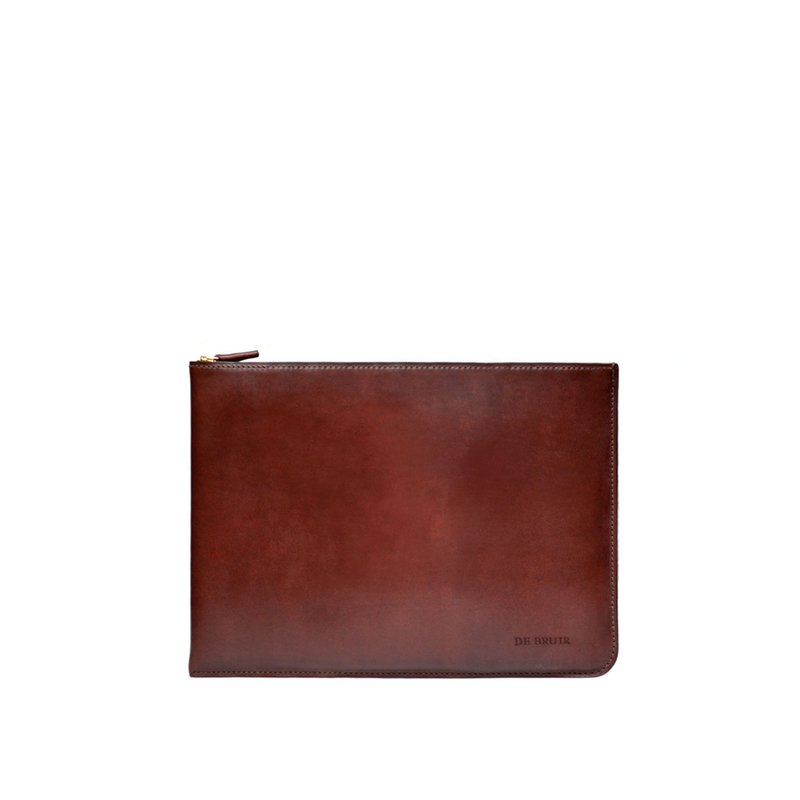 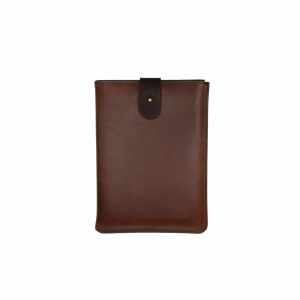 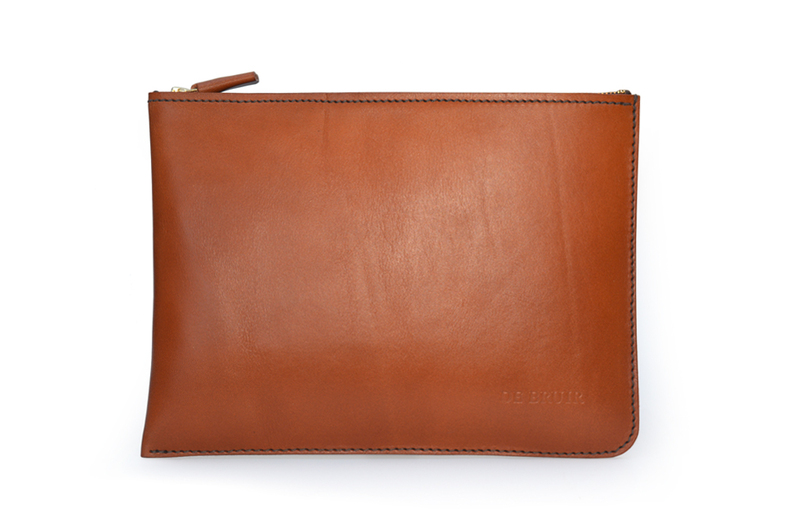 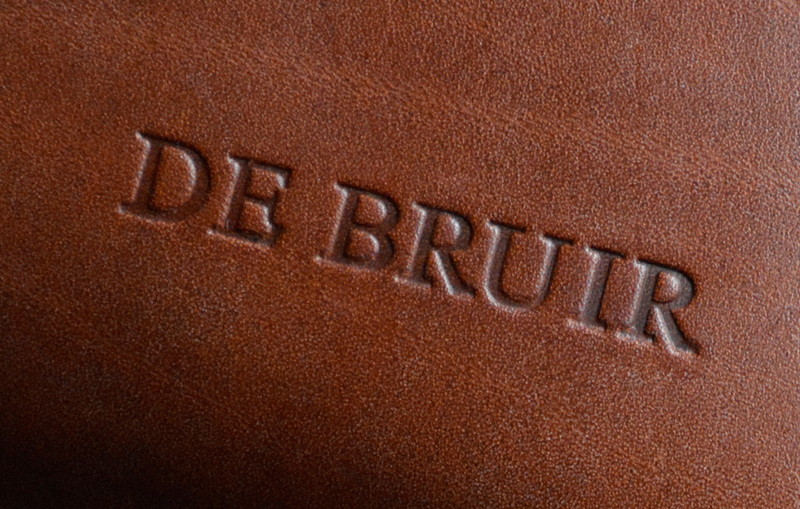 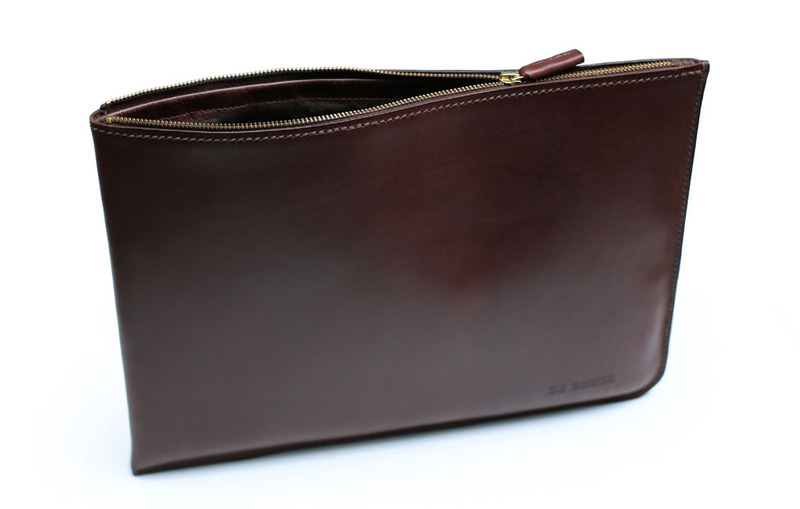 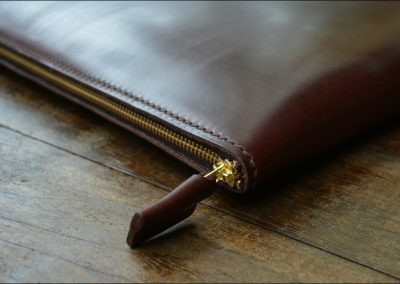 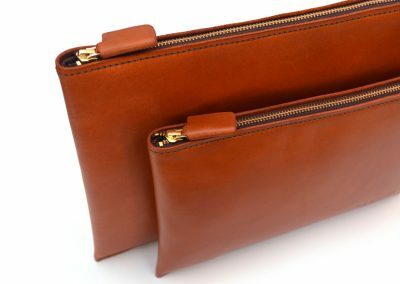 It features a single piece of premium leather folded to create a long pouch shape. 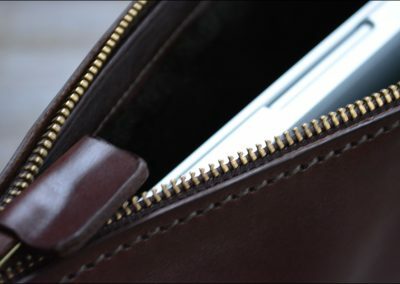 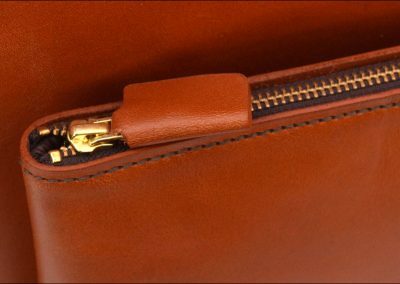 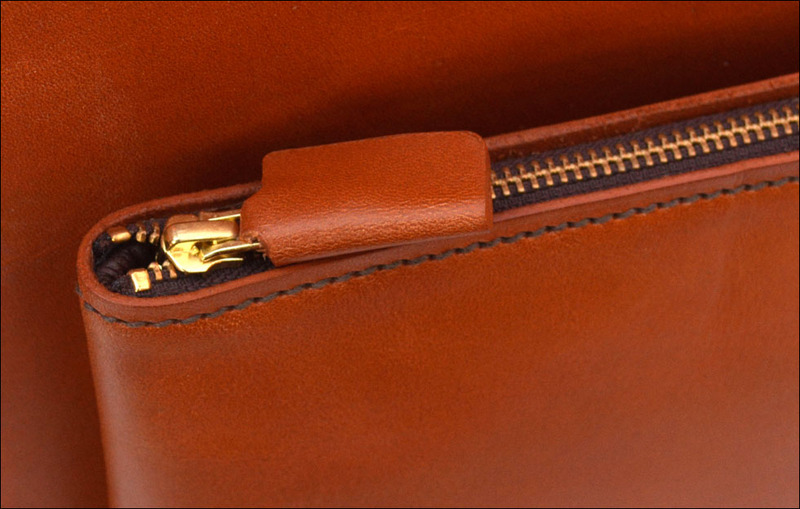 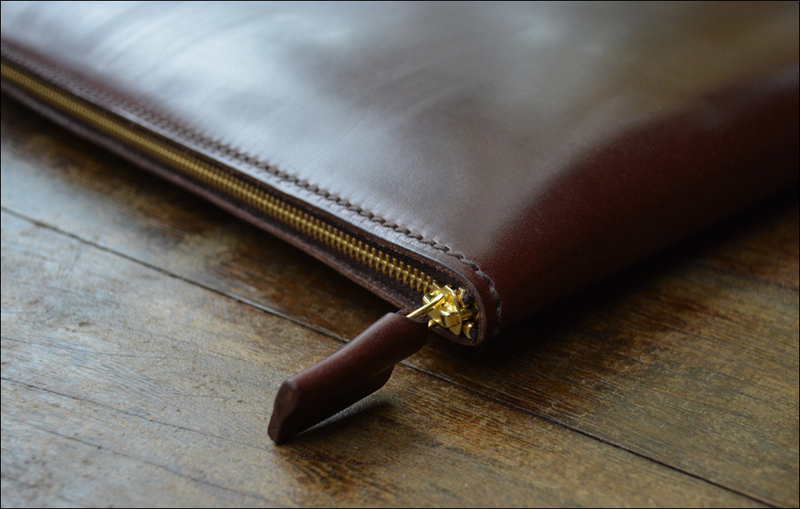 Opening the brass zip reveals a rich, leather lined interior. 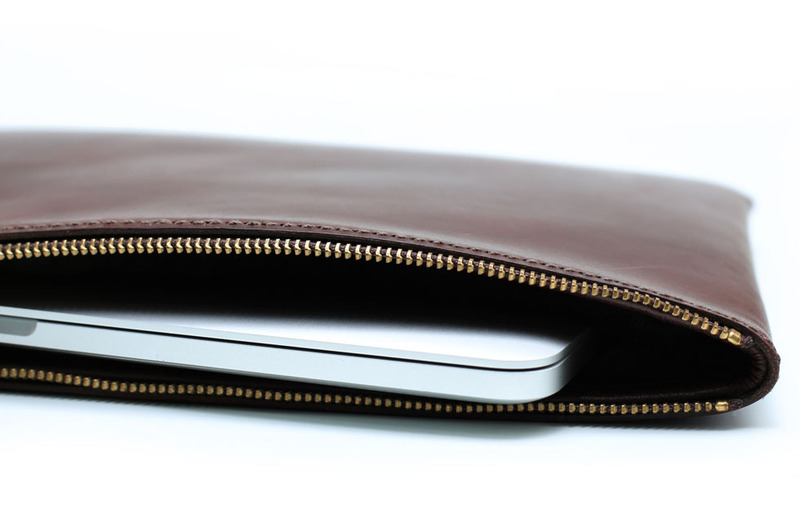 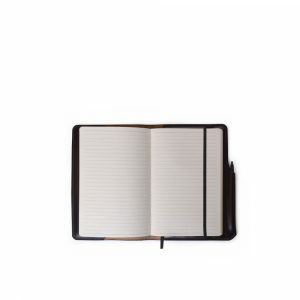 The small size is ideal for a tablet while the large will fit a 13″ MacBook or documents.